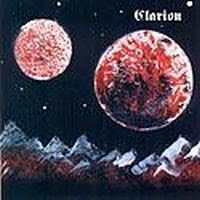 CLARION's material is very close to new age, with just enough prog touches to warrant the band's inclusion here. The flute plays a defining role in their style which is warm, graceful and highly melodic. They consist of the same members as Italian folk-prog band ZAUBER, namely Paolo Clari on keyboards and synths, Gianni Cristiani on flute and ottavino, Liliana Bodini on vocals, Massimo Cavagliato on drums, Mauro Cavagliato on bass, electric Piano and metalophone, and Oscar Giordanino on electric piano. In addition to the lyrical flute passages, both their self-titled album "Clarion" (93) and the subsequent "Bourrée" (95) feature some strong bass, competent drums and a few ethereal and classy female vocals; the keyboards and guitars play a supporting role, here, but do step forward when called for. The eponymous "Clarion" also includes some classical prog tracks by BANCO, PFM and GENTLE GIANT as well as a genuine classical excerpt (SAINT-SAENS), all revisited by Cristiani's delicate flute. Fans of ZAUBER, LATTE E MIELE and easy-listening Italian prog in general should appreciate.